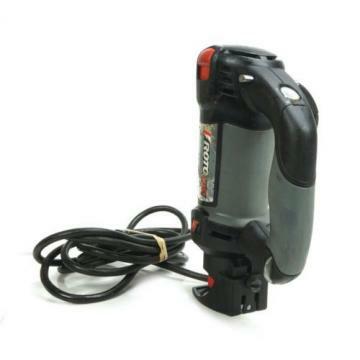 ROTOZIP RZ5 BY BOSCH ROTARY TOOL with router attachment. It comes as shown in pictures (and nothing additional) in great cosmetic and working shape. It does not come with collects but with chuck as you can see in the tool pictures. QUALITY GUARANTEE:We inspect and test all items that come into our shop. However, we deal with a large variety of items and our knowledge of some items is quite limited. Because of this we offer a 48 hour inspection period on all items that we sell. If you happen to find a problem with your item that we missed, please let us know within 48 hours of delivery. We will repair the item or refund your money if there is a problem that we cannot fix. Good customer service is our only goal. Please let us know immediately if there is a problem with your item. COMBINE SHIPPINGIf you want to buy more of our store items please do so and request an invoice before paying as we combine shipping. International Buyers – Please Note: Import duties, taxes and charges are not included in the item price or shipping charges. These charges are the buyers responsibility. Please check with your countrys customs office to determine what these additional costs will be prior to bidding/buying. Please note that we are not related with any of the companies that manufacture the products that we sale therefore if you have any questions regarding our products you can contact us directly.